At the foot of three imposing peaks, Eiger, Mönch and Jungfrau, Wengen is the ideal place for a "slow tourism", without frenzy, without excess, and especially without noise, because the town is closed to traffic. The village lies on a plateau at 1270 meters of altitude, always very sunny. Motorised traffic is banned from Wengen: the cars are stopped 400 mt downstream, in Lauberhorn, famous for hosting the World Cup competitions in Alpine skiing. Wengen has preserved a very nice and traditional look, with chalets and hotels in Belle Epoque style, with quaint shops of pastry, in a climate of peace and tranquility. Nevertheless Wengen is a very important ski resort, with about 20 lifts leading to over 100 km of slopes. The legend tells that the British invented the Alpine downhill: here is one of Britain's oldest ski clubs, the Downhill Only Club, which dates back to 1925. From Wengen you can easily reach other ski resorts, such as Jungfrau, Schilthorn-Mürren and Grindelwald-First. For young skiers and beginners, the most interesting places to ski are around Männlichen and the Kleine Scheidegg. There is also a wide range of non-ski activities available to tourists: skating, swimming, curling, snowshoeing as well as night clubs, restaurants and bars. Being closed to traffic, Wengen is only reachable from Lauterbrunnen by the railway Wengernalpbahn. Wengen is famous for two major international events, the Ski World Cup and the Jungfrau Marathon. 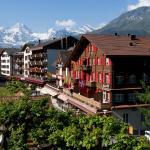 Among the cultural activities in Wengen, worthy of note is the week of music in Mendelssohn, held in August. The town is the starting point for excursions to the Jungfrau and the Eiger, where there are some climbing walls famous around the world. Also in summer Wengen offers much to tourists, with over 500 well-marked hiking trails and a dozen lifts that lead to the higher areas, on the scenic roads over the country and to the glaciers. In summer you can enjoy paragliding, river rafting and canyoning. The family-run hotel Alpenrose is the oldest hotel in Wengen, with a beautiful view of the surrounding mountains and the valley of Lauterbrunnen. 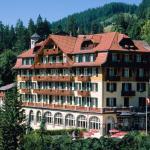 The hotel is an ideal base for excursions in the Jungfrau region. 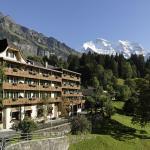 The Hotel Falken is located in a splendid position in the region of the Jungfrau mountain, near the village of Wengen. 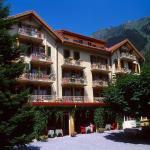 Nearby you can enjoy many leisure activities in contact with nature in both summer and winter. The Victoria Hotel & Spa Lauberhorn, housed in a nineteenth century building, lies in a beautiful location right in the centre of Wengen, close to the railway station and the cable car. A short walk from downtown and the train station, and with stunning views of the Jungfrau mountain and the valley of Lauterbrunnen, The Belvédère Hotel provides an ideal base for your stay in Wengen.